If you’re going to spend your summer in Tokyo, we strongly recommend you to participate in the traditional Japanese festivals. Tokyo is always cutting edge of times, but there are many historical festivals that are rooted here. Since festivals that allow audiences to participate are increasing, it is possible for you as a guest to literally experience the Japanese culture. 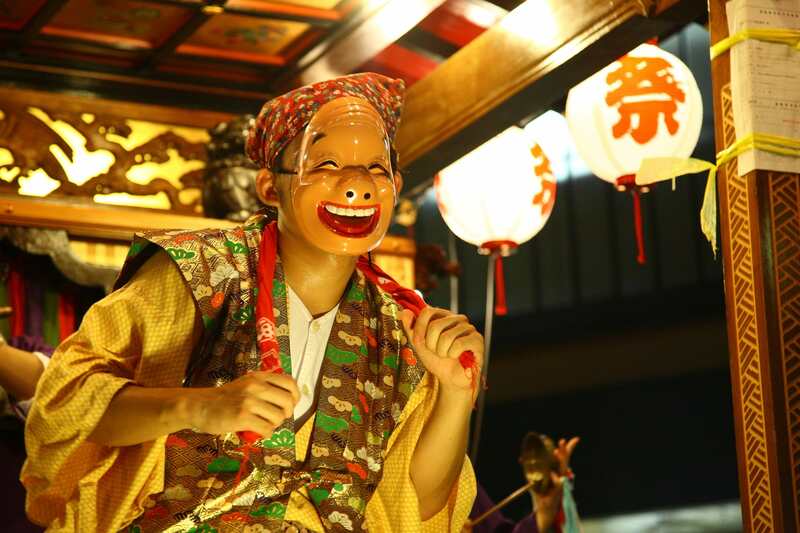 This article will select the Japanese festivals matsuri that will be held in Tokyo during August. 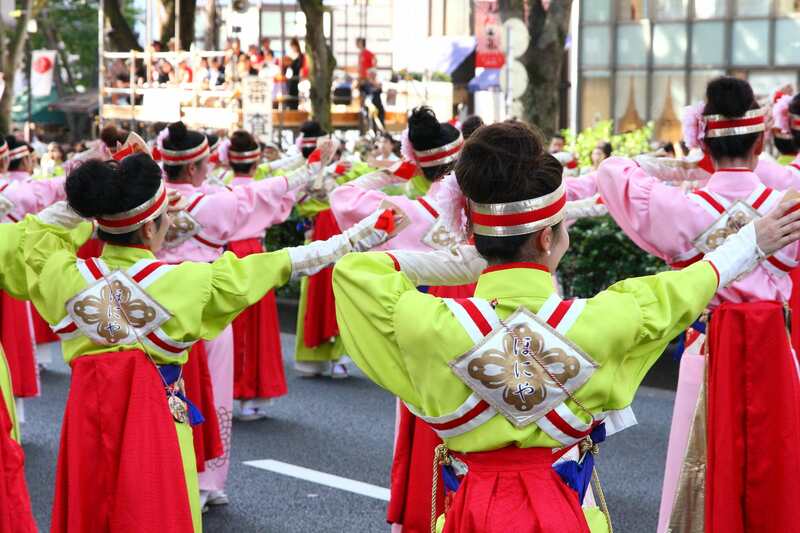 Originally, the Awaodori is a root festival from Tokushima prefecture. It started in 1957 at Koenji to revitalize the town. 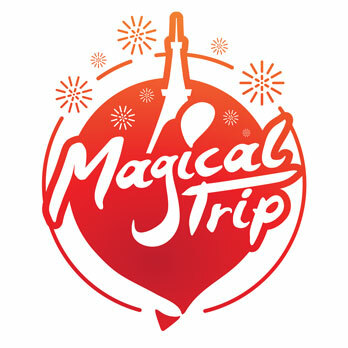 Today, it has grown to 880,000 people who visit this big summer event. Awaodori is a simple choreography that moves alternately with a rhythm of two beats, so you can easily participate. 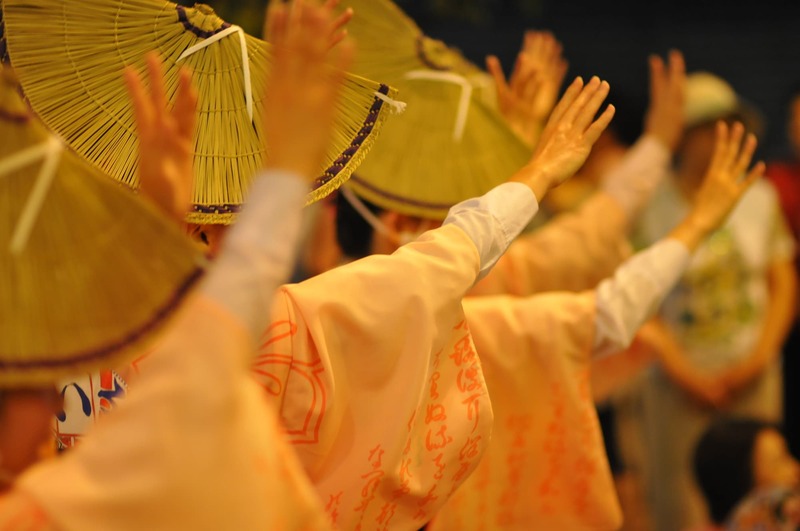 They were Hinagasa and dance in kimonos and march through the city at night time, which is a fantastic sight. We also recommend eating takoyaki and okonomiyaki while playing around in the game booths. There are many people who watch the march while eating. You can enjoy the marvelous summer nights while feeling the Japanese culture. 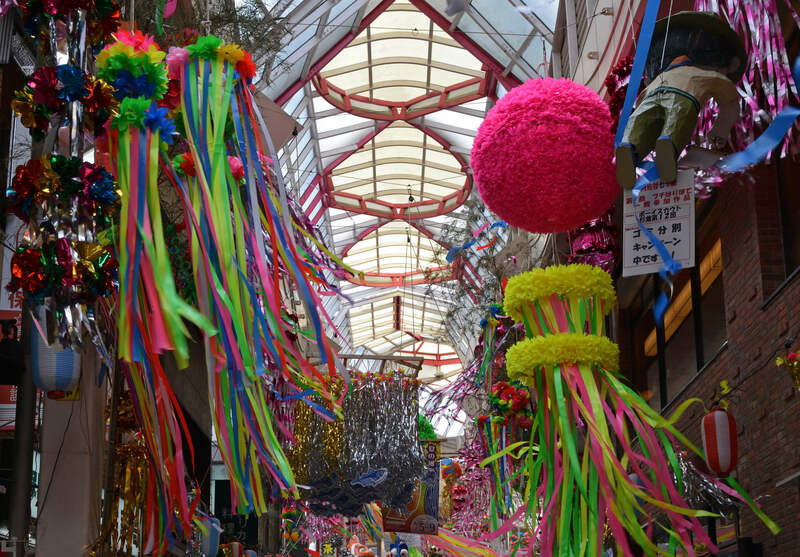 Fussa Tanabata festival has a history of 67 years. “Tanabata” is a unique event which was implemented from a Chinese fable and is an original event held in Japan annually. There is a special day every year, when a couple that was broken up by the Gods, can meet each other for a time. From this romantic anecdote, it is a popular festival in Japan. It is believed that if you write your wishes in a long strip of paper called tanzaku to hand it on the bamboo leaves, it will come true. The bamboos are very beautifully decorated with these tanzaku. Furthermore, there are many people who wear yukatas to participate in this festival. Yukata is a Japanese kimono that we wear during summer. Why not participate in the festival while wearing a yukata? Yosakoi was originally a festival from Kochi prefecture. It was started from 2001, in the shopping street in the vicinity of Harajuku. It’s a festival that is devoted for the Meiji shrine nearby. It dances to the song of Yosakoi, but there is no rules or restriction to it. If you use the phrases of the lyrics, arranging is OK. Therefore, you can see various types of Yosakoi from each teams. At the venue, “Udon Tenkaichi Decision Balle” is also going to be held. Here, you can eat various udon from all over Japan. It will be cool if you can try out and see which one of them is the most delicious. Harajuku Omotesando/Meiji Jinguu/Yoyogi Park/NHK Keyaki Namiki Doori etc. “Nouryou-no-Yuube” is held in the “Chidorigafuchi” pond. You will enjoy the lanterns floating on the pond while on a boat. 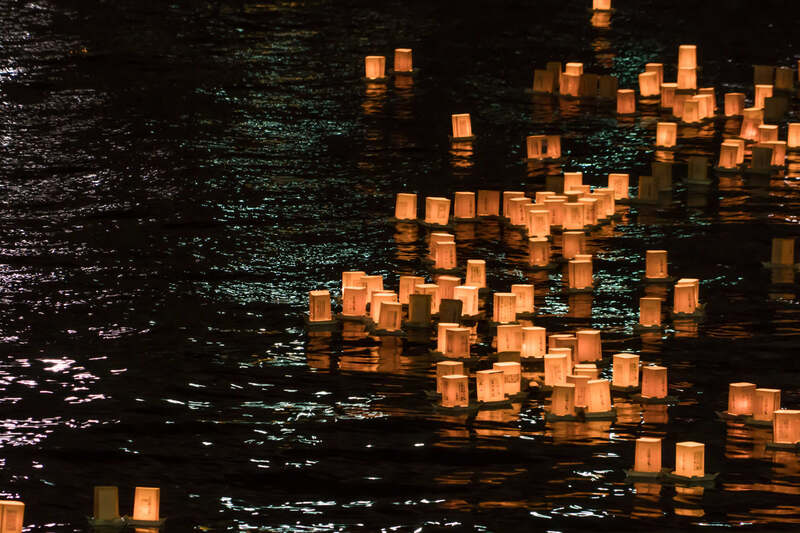 This lantern floating event began with the teachings of Buddhism. If you want to feel the Japanese Buddhist culture, come and join. 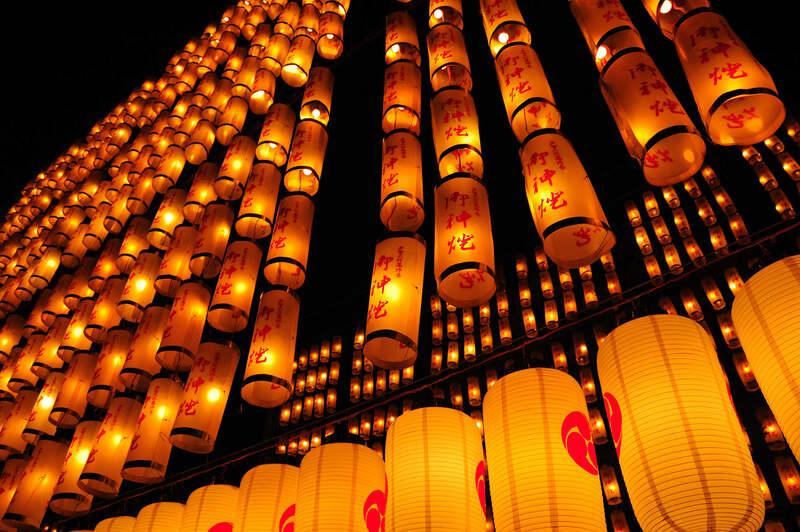 The torou lanterns are lit up in soft lights, and the atmosphere is very romantic and fantastic. If you can reserve before hand, you can lit the lanterns from the boat your self. Why not try? The Tachikawa Yoito Matsuri is very popular with the locals. The theme of this festival is the “symphony of light and sound”. The “Sunsun Road” will be the venue with various lights and sounds. As the event has to do with sounds, there will be a performance using the Japanese drum wadaiko. Its power sound and brave players are quite impressive. 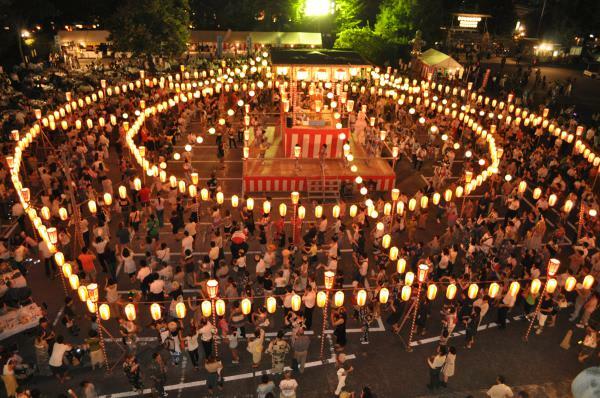 For the lights, there is especially a event that we want to recommend, the mando mikoshi. Mikoshi is like a big house that is dedicated for the indigenous Gods of each land. It is lifted up by a large number of people. Tachigawa-shi’s mikoshi is very special because it lights up the chochin. Chochin is a traditional lantern user in Japan. The lights of it will beautifully light up the night of Tachikawa–why not enjoy the beautiful night with the lights and sounds? There are no need for reserves. Tsukiji Honganji Noryou Bon odori festival has guests not only from the locals but also many from overseas. In this festival we dance in a circle around a tower built in the precincts of Tsukiji Honganji, yagura. We dance along a live performance by Japanese drums to the Tsukiji Ondo. There is also a costume competition where you can participate in the Bon odori with your free costumes. There are also Ooedo Sukeroku Daiko, in which you can enjoy the big sounds of Japanese drums. At the venue, there are various booths where the Tsukiji fish markets and neighboring restraunts are open. You can enjoy the bon odori while also enjoying the food of the Tsukiji, which is also called the kitchen of Japan. 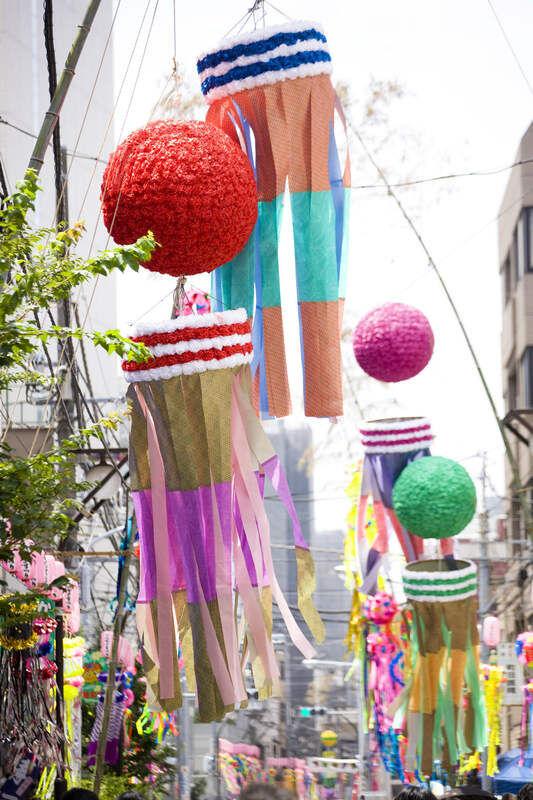 The Asagaya Tanabata Festival is one of the three most famous Tanabata festival with a history of 60 years. Tanabata is a festival were Chinese old folk tales are its roots. During the festival period, in the shopping streets of JR Asagaya stations will be decorated beautifully with fukinagashi and takekazari, made with bamboos. There are also haribote that line up. Haribote are often motifs of what what popular that year, mostly characters. Various stalls lineup in the shopping area. Some of them offer limited menus only during the event period. There are about 100 stalls so you can definitely find your favorite food. Sumiyoshi Shrine has been acquiring faith from people who are involved in the shipping industry from long ago as a God to protect safety at sea and safe travelling. It also is believe as a local God Ubusunagami. Ubusunagami is a God that protects the area. 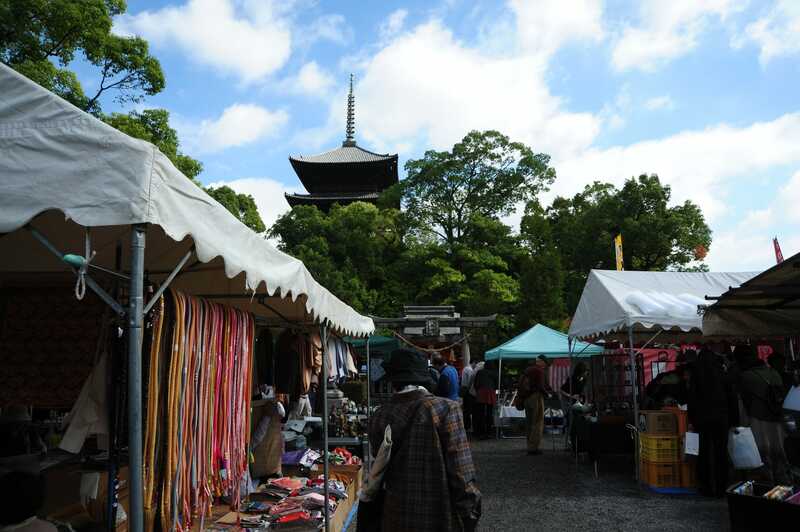 At the Sumiyoshi Shrine festival,we will offer things that were taken at the sea, mountain and river to pray for the prosperity of the nation and the region. At the festival, there will be a dance called kagura dedicated for the God, which can be viewed by anyone. Also, the locals of the area will carry a mikoshi, which is supposedly the vehicle of the Gods. Mikoshi are built as small houses with square roofs, but the Sumiyoshi festival mikoshi have an octagonal roof. Therefore, it is also called the Hakkaku (Octagon) Mikoshi. It resembles the Emperor’s chair. It is a festival where you can see a rare mikoshi in Japan. The Hachioji festival began in 1961. It is the festival that the locals started, but its also popular for its high artistry. The main event of the festival is the Dashi. There 19 unites, some are 4m in width and 4,5m in depth, 4m in height. The dashi are shaped like small houses and there is a balcony. During the festival, people dressed in beautiful costumes stand there and perform. You must also see the batting of the Dashi. While playing musics they face each other; the one that gets lost in the other music first loses. There are also Kanto plans Taiko Battle that has the beats, and the Minyou Nagashi will about 3000 people in Yukata dancing. The summer kimono, yukata, is not only beautiful but very refreshing. Unique Building like a Beer!! !